Every golfer dreams of playing a different course each day. How about belonging to one with 387 million different ways to play? You’ll find one in Noelville near the French River, an hour southeast of Sudbury. 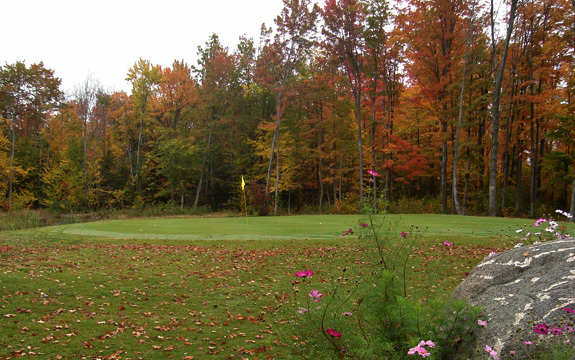 The Maples Golf and Sports Club is a course so different in design that you have to see it to believe it. 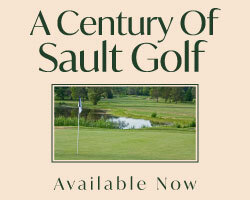 This course uses one of the most unique developments to hit the golf world since gutta-percha. 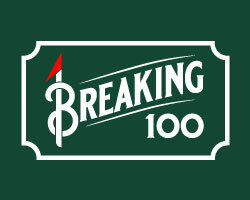 Using the “Tri-Par” concept, a technique patented by Ed McBride that creates millions of scorecard configurations. 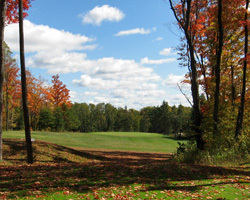 The Maples will consist of 18 par 5’s, 18 par 4’s and 18 par 3’s that can play up to 9000 yards. The innovative approach to this course’s design features four different tee decks, not on each hole, but on each par of each hole. That’s right; each hole can play as a par three, four or five. The first nine is open for play and when the next nine is fully complete, it will allow the course to be set up to play as a comfortable par 54, or as a bomber’s dream par 90. (Imagine shooting 90 and being thrilled?) Each day the tee decks are set differently so you never know what course you will be playing when you arrive. Owner and architect Mike Bouffard created his dream. He says he saw a need in this area for a full length championship calibre course providing a fair test for all golfers, including ladies and juniors. Linking up with Tri-Par has given him the opportunity to create a world’s first in design. The Maples may be in its infancy, but when complete, you can tell it’s going to be a beauty. Bouffard has created a fun, playable layout that forces the player to think their way through each hole, whatever the combination. 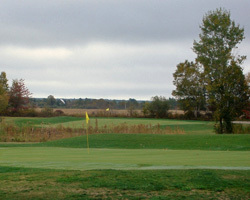 The greens are large and have a good balance of subtle rolls and sharp ridges to allow for a variety of pin placements. The fairways are filling in nicely and reward the straight hitter. Water is a hazard on most holes and the sand traps filled with the multi-coloured screenings from the on-site quarry are fantastic to spin from. The routing of the second nine holes is done and cut from the beautiful hardwoods on the 319 acre property. One of the new holes will feature an island green surrounded by sand. The clubhouse is evolving and soon will be a full service facility, including a restaurant to complement the fleet of mandatory brand new electric golf carts, driving range and putting green. You can’t go wrong with a round with cart for $45 plus tax on the weekends and you’ll never run out of ways to play!